Microscopes often have a built-in mechanical stage, while others have the option to add a mechanical stage. 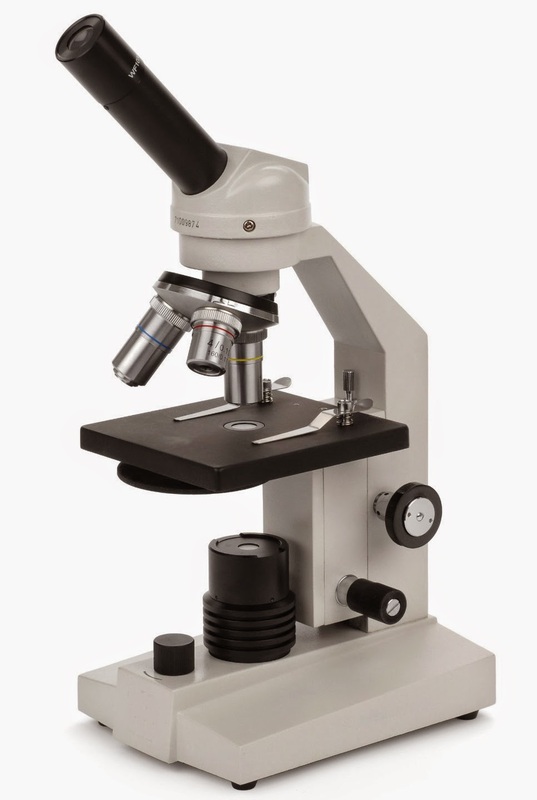 A microscope mechanical stage allows the user to maneuver the samples under the microscope left and right or forward and backward simply by turning a small knob. 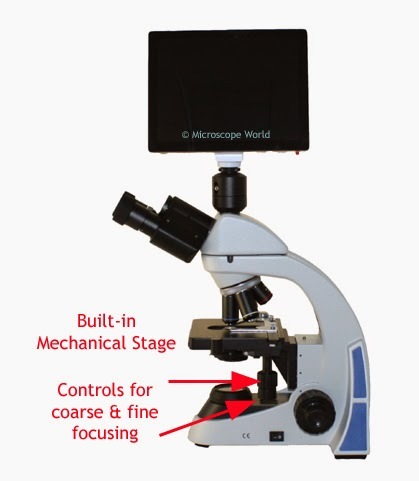 A microscope mechanical stage gives the user much more control when viewing the sample and makes it easier to keep that sample inside the microscope field of view. The mechanical stage shown below replaces the stage clips on the HS-1M high school microscope shown at left. By adding the mechanical stage it becomes easier to maneuver slides and keep samples in the field of view. The UX1-LCD microscope below has a built-in mechanical stage. Notice the drop-down controls on the side of the microscope. One of these moves the stage left-right and the other moves the stage forward-backward. 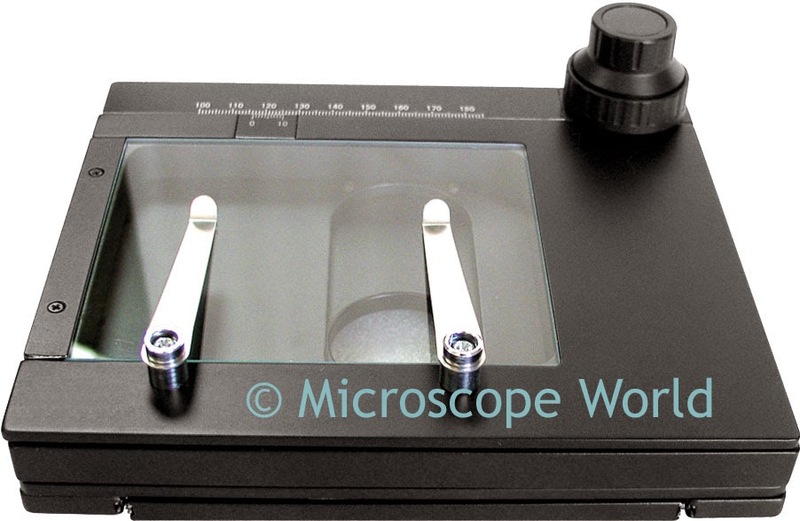 The stereo microscope mechanical stage shown below is made for a stereo microscope with transmitted light. 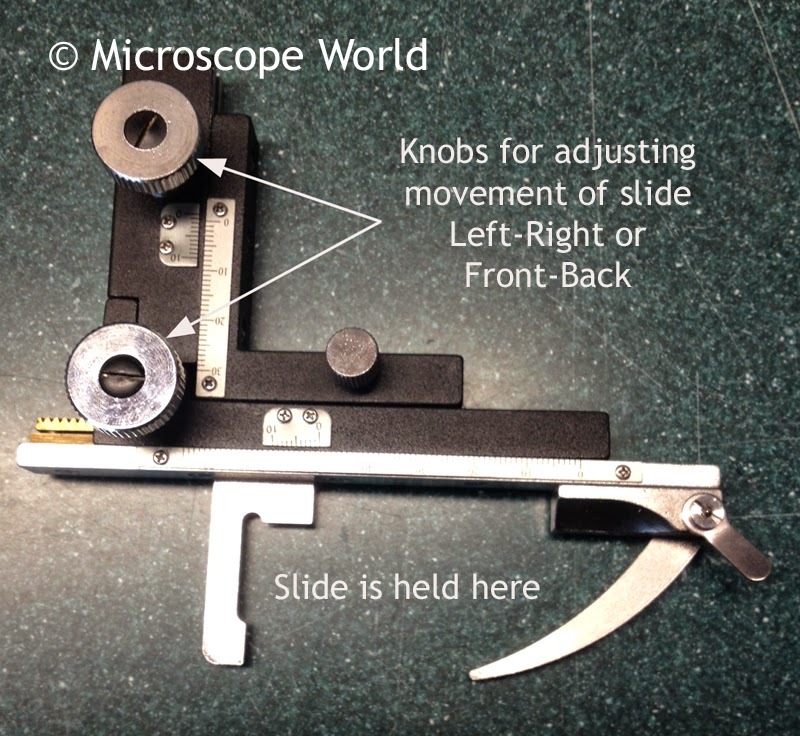 If you have questions about adding a mechanical stage to your microscope, please contact us.